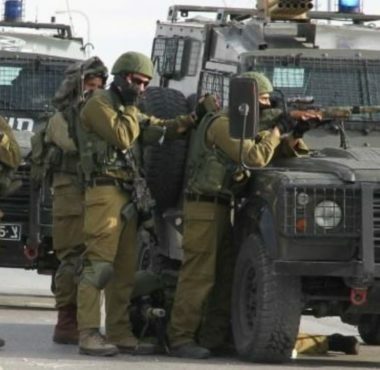 Israeli soldiers shot, Friday, four Palestinians with rubber-coated steel bullets, including one who was injured in his face, in the center of Hebron city, in the southern part of the occupied West Bank. 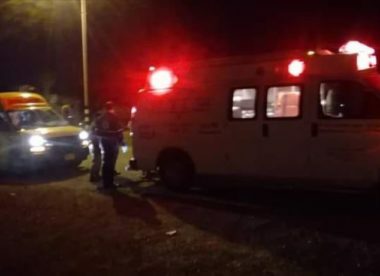 Palestinian medical sources said one Palestinian was moderately injured by a rubber-coated steel bullet in the face, and three others were shot in the lower extremities, before they were rushed to local hospitals. The injuries took place after the soldiers attacked Palestinian protesters at the main entrance of the Shuhada Street. The army fired many live rounds, rubber-coated steel bullets and gas bombs at the protesters.